Last week was a busy week here at work. 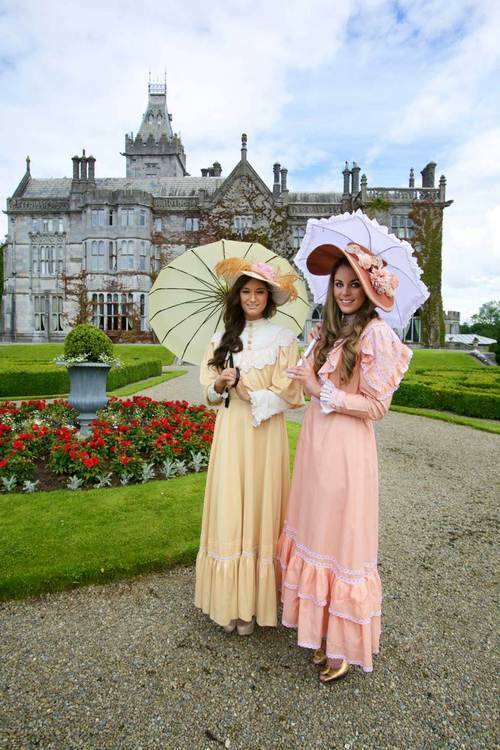 On Sunday we hosted a Victorian Garden Party to raise money for the Milford Hospice. The party was held in the French formal gardens in front of the manor. Guests entered into the gardens and had the chance to watch a falconry show and try their hand at some archery. After walking through the gardens they could take a seat for champagne and afternoon tea. Most of the guests and all of the employees dressed up in period costume to go along with the theme. Below are pictures from a photo shoot I helped with two weeks ago to help promote the party. These pictures ended up in two county newspapers and one national newspaper! The party was a success for all and there are plans to make it even bigger next year! 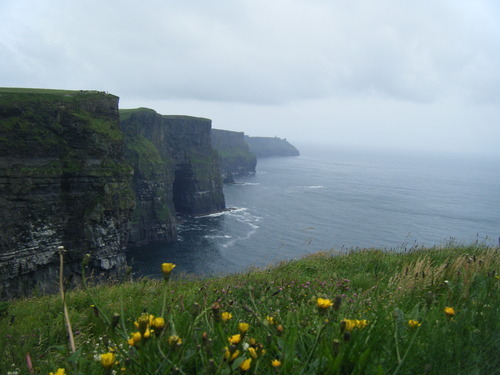 This weekend we went to see the Cliffs of Moher on the West coast of Ireland. We hopped on a tour bus bright and early and stopped at a few places along the way. It rained most of the day but that doesn’t stop anyone in Ireland! The Cliffs span for miles along the coast; from the top of O’Brien’s Town you can see the Aran Islands and down to Galway Bay. I was even happy to find out they filmed a scene of Harry Potter at the cliffs!